Twenty years ago, I began serious and significant studies of diet and health. My search for personal healing became a zeal for illumination and a devotion to helping to heal others. My degree in journalism and background in that field turned me into a professional researcher...a passion I have continued to pursue. 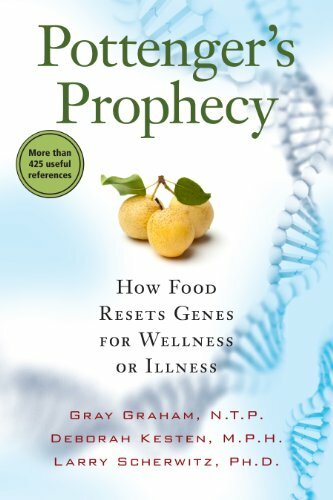 In the last two decades, I have studied nearly every healing dietary protocol and dietary lifestyle available, and personally tried many of them (including allergy elimination diets, veganism, raw food-ism, macrobiotics, strict food combining, fruitarian, blood-type diet, mucus-less diet, yeast-control diet, intermittent fasting, GAPS, etc). I sought enlightenment and physical health through food as medicine, through food as a way to express my morality, and by using food choices as a political statement. I have experienced and observed successes and failures along the way with these various protocols and lifestyles, and am grateful for the lessons. I realized that some of the advice and teachings I sought to follow did not benefit my body, and I also awoke to flaws and contradictions in certain promoted paradigms. Through all those experiences, I sought to find answers and balance, as well as genuine healing and long-term nourishment. I wanted to thrive. One of my first lifestyle changes was to convert to vegetarianism, and then veganism. I was completely committed based on what I felt were compelling health and moral reasons. My foray into veganism and the mucus-less diet was a passion-driven commitment. I studied every major book on the topic, read articles, listened to radio programs, interviewed proponents, discussed the lifestyle with practitioners. I got on board. 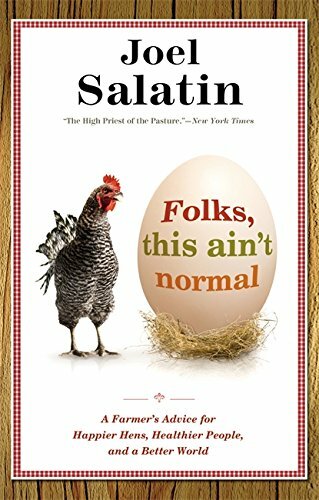 One of my favorite natural healing schools was (still is) a stringent proponent of veganism. My first naturopathic mentor was as well. I agreed with the principles, the arguments, I embraced what I was convinced was the enlightened path. I even worked to convert people to what I believed at the time was the healthiest dietary lifestyle. 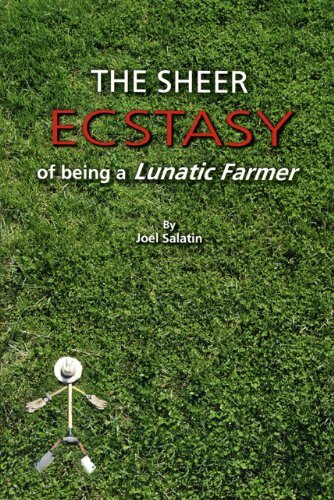 During those years, I agreed that a grain-based diet would solve world hunger and was the only ethical way to use the world’s resources…but I have since learned that sustainable, humane, organic, small scale, environmentalist farmers have proven that premise to be a myth. 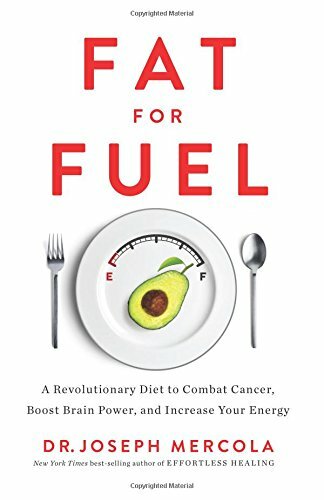 As a vegan, I believed that vegetables and grains and beans could supply all the protein that our bodies required to thrive, that soy was a health food, and that fat was the enemy. But I was wrong…I was misinformed, though well-intentioned. 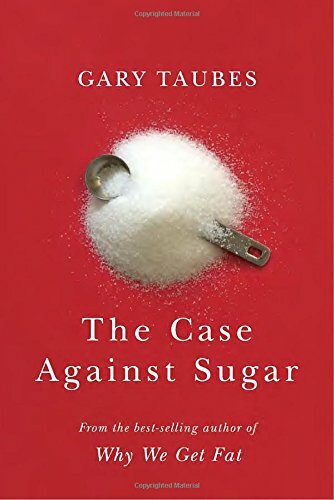 I had no knowledge of traditional peoples and the traditional and ancient dietary principles that caused people to thrive for millennia, and how erroneous modern ideas about food and modern food production have obliterated our health. I did not yet know that soy has a dark side and is not the health food that the soy industry would lead us to believe. 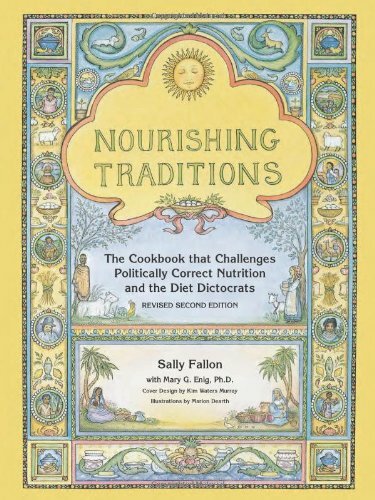 I did not understand that the natural hygiene and clean food principles I so desperately craved could be found within a healthy, conscious omnivorous diet based on traditional (aka long ago) dietary practices and simple, sustainable, moral practices. In the beginning of my vegetarian and then vegan years, I felt healthier than I had previously. I now understand that was due in large part to detoxification, an eschewing of factory food and refined sugar. But over time, my health worsened...hormonal malfunctions, infertility, brain fog, inflammation, lethargy, almost daily migraines, etc. The soy- and grain-heavy vegan diet was not working. At first, I ignored, even criticized, others who tried to enlighten me to the problems with my chosen path. My stubbornness and ego kept me from listening, as I believed I had chosen the most enlightened way to eat. But as I continued to desire true physical health and health for desired future children, as well as balance in my life, I opened my mind to further knowledge. And I saw the pitfalls and dangers in the diet I had clung to and defended so vehemently. But I journeyed full circle and delved deeper into research, seeing simple but profound truths and health/food principles. I realized that even though there were errors and deficiencies with the vegan teachings I had embraced, that there were also valuable principles I had learned…that health begins in the gut, and it begins and ends with what we put in our mouths (for the most part). So I continued to grow, to evolve, to study passionately, to learn, to become ill again and in new ways, and then journey to become well. It has been an incredible journey, for which I am very grateful. 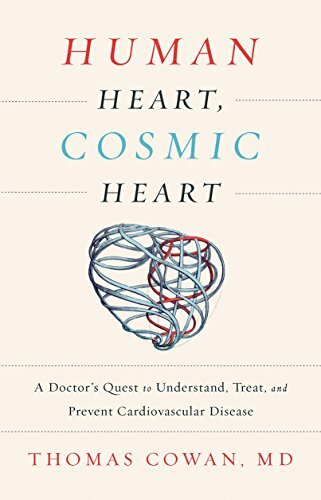 In 20 years, I have come to understand and appreciate more than I ever expected to about the human body, its needs and operations; about food and medicine; about the failures and dangers of the modern food and medical industries; and about the very real paradigm war in our culture between traditions and evidence-based truths, and profit-based fraud. I learned that well-meaning, intelligent and caring people sometimes unintentionally share erroneous, incomplete or misleading information. We are all on a journey in this life, and we are all seeking to learn and to grow. I believe that when no malice is intended, there is room for grace. None of us knows everything, none of us holds perfect understanding…and none of us knows nearly as much as we think we do. I have learnt that first-hand. 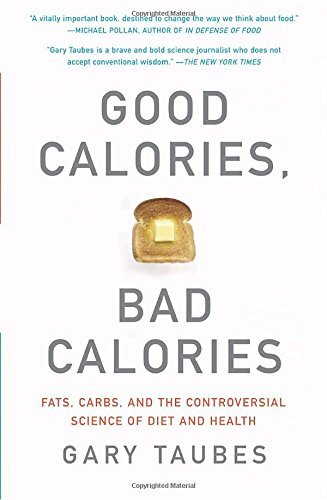 Ultimately, through study, contemplation, and trial and error, I have come to believe there are some serious flaws in dietary advice, but also great benefits within varying approaches. I am grateful to have examined, practiced and experienced diverse protocols, principles and dietary lifestyles, as they all provide tools for my ever-growing healing modality toolkit. 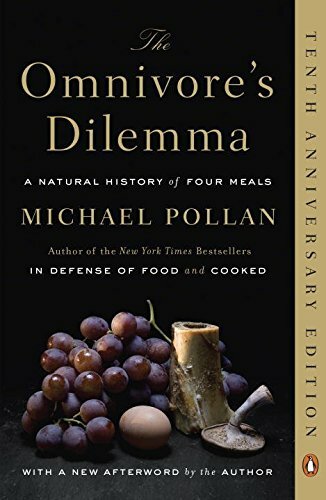 I now know that while there exists variations in food tolerances and micro-nutrient needs among individual persons, as a human race, we function best as omnivores…careful and conscious omnivores. Food source and quality matters! Food preparation matters! Attitudes and habits with and about food matter! I seek to combine the best aspects of the clean food approaches with diligent food choices, creating a lifestyle paradigm of clean, sustainable, traditional, nourishing food. I am passionate about Real Food, and I love to enjoy food. I have what some consider to be radical (perhaps even difficult) ideas about what food is and isn’t and should be. I hold key principles about food politics, environmental management, animal husbandry and human nourishment. While there is no one strict dietary path that works 100% all the time for all humans, there are some basic common principles that are worthy of consideration and further study by anyone who seeks health and morality with food. While I am certain that as humans we all have the same essential physiological make-up and fuel needs, I also believe strongly that we must learn to listen to our bodies and honor what they tell us. And for us to be able to truly hear and feel what our bodies are communicating, we must clean the slate. 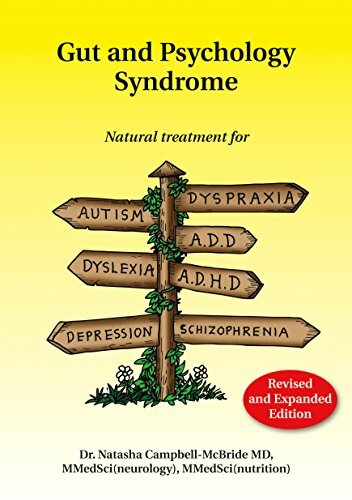 That is a significant part of health…the detoxification and cleansing of our systems, to give ourselves a proper baseline from which to understand our unique needs and intolerances. From that place, we can begin to build, to repair, to thrive. 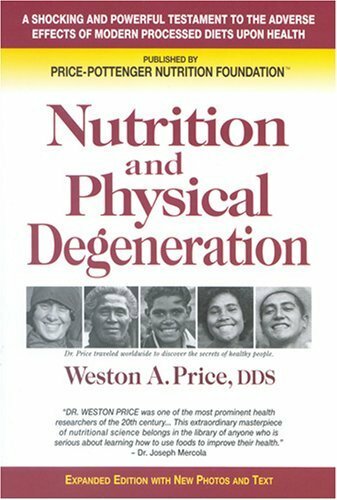 I view restrictive cleansing dietary protocols as extremely beneficial temporarily to deal with disease or for periods of fasting/purging. But for systemic longevity, for brain, hormone and tissue health, our bodies require certain nutrients that some protocols/diets do not supply well enough. I believe it is the rare person who will thrive through a lifetime on a severely restricted diet such as veganism, and that heavily grain-based diets (which can be quite acidic and mucus producing) usually prove troublesome for most people over time. And perhaps the most important thing I have learned is that the most essential human nutrient is fat. Speaking of fat…I remember using the “gorilla argument” whilst trying to proselytize people to the vegan lifestyle (it has long been a popular mantra in the vegan camp). The logic goes thus: Gorillas are incredibly muscular, powerful creatures, and they eat nothing but leaves and twigs. Look how strong and large gorillas get on their diet! Should we not eat the same? Well, even if you believe that humans descended from (aka evolutionary biology) apes, which I do not, an honest scientific overview of human vs. gorilla anatomy and physiology would reveal that our digestive systems function quite differently, hence we require different diets. Gorillas consume leaves, twigs, grubs, insects…but lots and lots of cellulose from those tree parts. And the gorilla’s digestive system is designed to successfully break down that cellulose and absorb nutrients from it. Our systems are not designed in the same way. Humans cannot break down cellulose, and too much fiber can be detrimental to our guts. We have neither the anatomical intestinal fortitude for a cellulose-heavy diet, nor do we have the microbiome suited to the work, such as a gorilla. But interestingly, a gorilla’s end product nutritive consumption … the gorilla’s key nutritional component made and used by its body through the consumption of all that cellulose, the crucial nutrient that fulfills the gorilla body’s basic fuel needs, supplying its building blocks for that impressive and massive physical structure … is the same as that of the human: FAT. Yes, that’s right. The gorilla’s digestive system takes in the cellulose and converts it to essential fatty acids. So while we humans are not capable of eating and breaking down cellulose in the same manner as gorillas, we both require a key nutritional component to thrive…THE essential nutrient: our friend, fat. We just get it from different foods. The human digestive system is not that of a ruminant herbivore, or a primate herbivore, nor is it like a feline carnivore. We are designed as and operate best as omnivores. And as such, we have a dilemma (to borrow Pollan’s phrase)…we must learn how to eat properly to nourish ourselves so that we may thrive, not merely survive. I am thankful for my vegan years during the inception of my healing journey, as they taught me some basic diet and food choice principles that I believe to be necessary for all human, such as the importance of fresh, organic vegetables, fruits, seeds and nuts (for those who can tolerate them); the essentials of hydration; the need for clean and sustainable and ethical food sourcing; the benefits of cleansing protocols such as fasting and juicing; and conscious food acquiring and consumption. I will also be forever grateful to have been forced to study the very real health dangers of industrial commercial dairy; as well as the terrors of industrial meat/egg production, particularly CAFOs and their cruelty to animals and humans alike, in the multi-faceted destruction of our environment and our health. 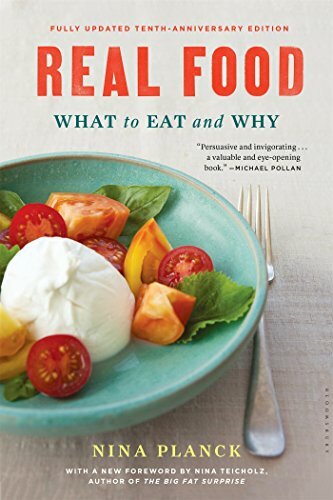 Because I have committed myself to and personally experienced the ups and downs of various dietary lifestyles, because I care about the nurture and feeding of people, body and spirit, I feel passionate about helping people find the answers to their needs for nourishing food and healthy choices. Most of what is sold in grocery stores is not Real Food…just because it is edible does not make it food. “USDA Organic” does not promote the principles of truly sustainable, clean food and needs to be treated with a healthy dose of skepticism. Industrial and processed “foods” are at best fake and at worst toxic…they should be avoided. Just because a processed food is sold in a “natural/organic/health food store” does not make that item nourishing. “White” foods are stripped of nutrients. Whole foods are best. But not all whole foods can be tolerated, as these foods have been manipulated over the past few generations, and are no longer easily recognized as food by our bodies (for example, wheat). CAFOs and all types of industrial, large-scale meat/dairy/egg farm facilities are toxic, immoral, unethical, destructive and never provide anything that can nourish. It does not take 12 lb. of grain to create 1 lb. of beef…cows and other ruminants were not designed to eat grains, they are grazers who should only eat grass. Eating grain damages the health of the cow, creating dangerous e. coli, spreading disease among the industrial food supply. Grazers are an essential and extremely healthy part of the food ecosystem, starting with the soil and the plants it grows. Growing and feeding grain to these animals is unhealthy, unsustainable and wasteful. Industrial food practices are dangerous. If you are going to consume dairy, it must be raw from grass-fed animals only…industrial commercial pasteurized dairy is not only indigestible, it is deleterious to human and bovine health. Monoculture agriculture is extremely destructive and unsustainable…it rapes the earth of nutrients and requires unsustainable inputs…it is not the answer to feeding the world. Plants need animals and animals need plants…the ecosystem is designed as a mutually dependent and beneficial life-cycle…circle…healthy soil is the beginning of all nourishing food and soil cannot be healthy without the natural process of life and death of plants and animals. Synthetic (petroleum-based) inputs always leach health. Soy has a dark side...it can be dangerous and should largely be avoided…processed forms always avoided. Only small amounts of properly fermented soy should be consumed, and not regularly. 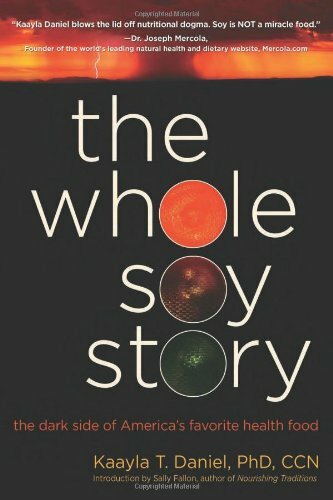 There are many truths about soy that we all should be willing to investigate. Sugar can be dangerous…refined forms should always be avoided. Real fats…healthy fats (including natural saturated fats)…are the most essential human nutrient. Fake fats are poison…all “vegetable oils” and trans fats are fake fats. The best fats come from nuts, fruits and animals. Every cell in your body requires fat…it is the fuel source for the mitochondria that keep you alive. Your brain’s composition is 60% fat. Your hormones cannot function without fat. Fat does not cause heart disease. Pages could be filled with the functions of fat in the body. If you are eating a low-fat diet, you are killing yourself. Clean, conscious, sustainable, moral animal proteins can be highly nutritious and to some degree are necessary for the majority of people. The cycle of life includes and requires death. Eating animals is not the only form of death in the human diet. Plants die, too, and they give life for us to sustain life. 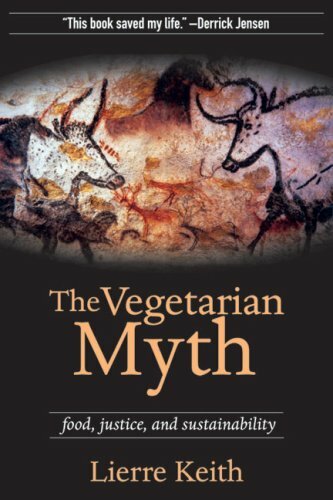 Humans are neither herbivores/ruminants nor carnivores…we are omnivores. We cannot digest cellulose and we cannot convert certain vitamins from vegetables … animals can and when we consume them, we receive those converted/digested nutrients. But a heavily meat-based diet is imbalanced and not optimal for humans. Omnivorous balance with sustainable Real Food components is key. Our systemic health begins with our microbiome…feeding flora is crucial. Food is medicine. But not just for the body…for the soul, too. Healthy, nourishing food can, does and should taste good. Learning to eat real food, enjoying pure flavors, is a joy. Herbs and spices are medicinal and culinary. “Natural flavors” in packaged foods are anything but natural. 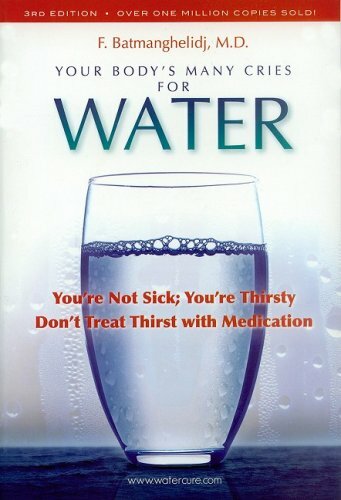 Dehydration is a major cause of various physical maladies…every cell in our body requires water, just as they require fat. You need to drink 1/2 oz. of water for every pound you weigh, every day. And you need natural electrolytes to keep your cells thriving, so don’t over flush your system without replacing essential nutrients through consumption of mineral rich salt. Modern grains…particularly wheat…can wreak havoc in our digestive systems. Modern fruits have been manipulated for increased fructose, which can seriously imbalance our blood sugar and stress our liver. Healthy grains, beans, nuts and seeds should be soaked before prepared to combat phytic acid. Fermented vegetables are highly nutritious and easily digestible; they provide necessary beneficial bacteria to our body's microbiome. The traditional diets of our human ancestors around the globe hold many answers when we look at degenerative disease and weakening human structures and brain function. While I intended this to be a personal essay sharing a glimpse into my dietary lifestyle journey, I see that I have become long-winded…such is my propensity! Please do go back to my Real Food page to read research-based articles I have written on topics that I have touched on here (such as the truth about dairy and the truth about fat). I followed a long path of research, experimentation, instinct and passion to land comfortably in the position of a content, careful, conscientious, clean food omnivore. The Truth about Cholesterol...It's Healthy!